The hype on this movie got so intense just before its release last Friday that it amounted to a guy running into the room and shrieking, “The Social Network is the BEST MOVIE EVERRRRR,” as he wept and rent his clothes asunder. Well, the movie is good. Really good. 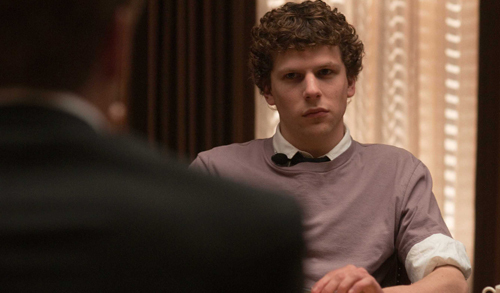 Even in a year flooded with excellent dramas, The Social Network is a standout. But is it the BEST MOVIE EVERRRRR? No. 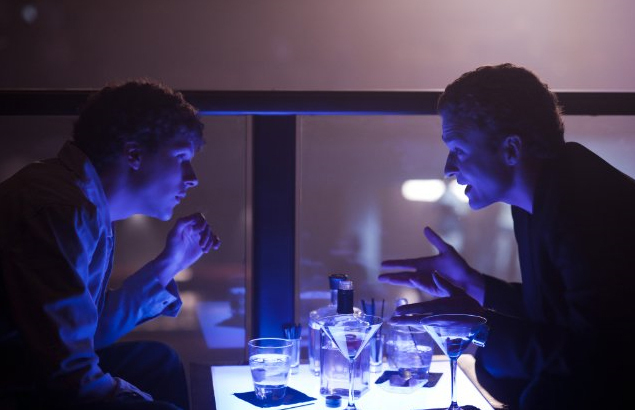 From the beginning I had one reservation about The Social Network: I feared writer Aaron Sorkin’s habit of oversimplifying characters to fit his narrative construct. With Sorkin you get superb dialogue and smart characters that usually do simple, borderline stupid things in service of Sorkin’s Idea (see also: Studio 60 on the Sunset Strip). I wondered if David Fincher’s direction, always so nuanced and attentive to environment, could overcome what I consider to be Sorkin’s inherent shortcoming. Answer: Um, kind of. Fincher’s Harvard is all dark woods, shadowy lighting and gray classrooms. His New York law office, where Facebook founder Mark Zuckerberg (Jesse Eisenberg, Zombieland) is being deposed for a lawsuit in which fellow Harvard students Cameron and Tyler Winklevoss (Armie Hammer of TV’s short-lived Reaper and Josh Pence of probably-canned TV show The Gates, respectively) and Divya Narendra (Max Minghella, Agora), sue Zuckerberg for stealing their idea for a social networking site for Harvard students (the ConnectU lawsuit), is in the same dark-wood-and-navy-blazer world of Harvard. By contrast, Palo Alto and its environs are sunny open spaces and hip clubs. In the two different depositions settings, New York is represented by a small window with a view of a rainy day while San Francisco’s law office is all big windows and bright light. The west coast frees Zuckerberg’s soul while the east represses it? Fincher does an able and understated job in creating this world. Zuckerberg is a man of cargo shorts, athletic sandals and hoodies while his friend and Facebook co-founder Eduardo Saverin (Andrew Garfield, Never Let Me Go) is all slick suits and upwardly-mobile success. The lines are clear and almost comically plain between East and West coast and the battle they do for Zuckerberg’s soul, but it works in the context of the movie. In fact, it kind of offsets Sorkin’s oversimplification of what happened when Facebook was founded. The good guys and bad guys are easy to spot in Sorkin’s script, despite his defense that it’s “up to the audience to decide who is good and who is bad”. Oh please. The “Winklevi”, as Zuckerberg sneeringly calls them at one point, are clearly the bad guys, persecuting Zuckerberg because “for once in their lives things didn’t work out for them”. Sean Parker (Justin Timberlake) is a bad guy, spotting the clash of opinions between Zuckerberg and Saverin, identifying it as a weakness, and cutting Saverin out of the group. But this is what Sorkin does. He tells you it’s all very complicated when really it’s very simple. 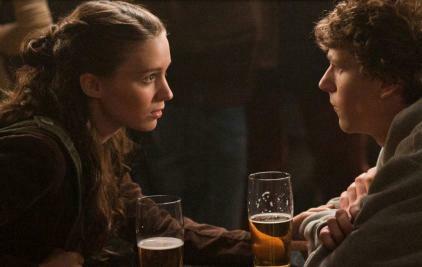 In Sorkin’s world Zuckerberg creates Facebook to get back at a girl (Erica Albright, played by the newly-minted Lisbeth Salander, Rooney Mara) who breaks his nerdy little heart. 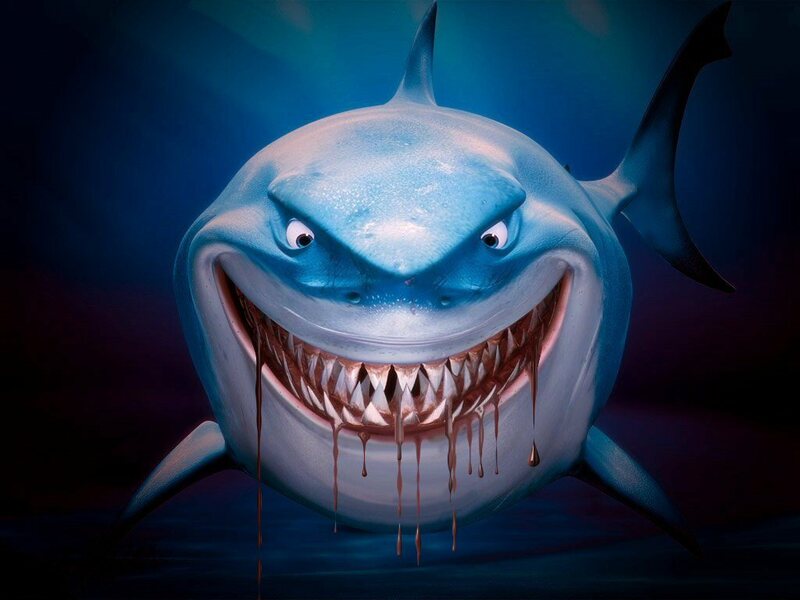 And he also thumbs his nose at the Winklevosses, who represent everything he simultaneously loathes and desires about Harvard (popularity and acceptance into elite groups, especially in the form of Harvard’s secret societies known as “final clubs”). Saverin is along for the ride, the money man who keeps Zuckerberg in servers and beer, Parker is the prophet who elevates Facebook into an international game-changer. Well, that’s fine. It creates an acceptable story structure. But it cheapens Zuckerberg’s real-life accomplishment. Why can’t Movie Mark Zuckerberg just be a really smart guy who is a gifted computer programmer, and has the vision and scope to answer the question everyone was asking (how do we bring people together on the internet?) better and more efficiently than anyone else? Why must his actions be to assuage his broken heart? Zuckerberg doesn’t often strike me as the most likeable guy, but he has expressed genuine remorse and has identified a lack of maturity that lead him to do things he isn’t proud of today (like the Sequoia Capital prank, identified in the movie as Case Equities). 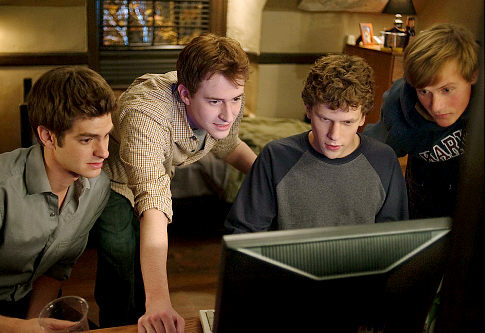 Sorkin’s script has no room for such maturation, however, and the Zuckerberg we’re left with is the lonely nerd still trying to get Erica to like him (in the image of Eisenberg alone in a conference room, waiting for Erica to accept his friend request). It just annoys me that Zuckerberg’s achievement, which has changed how we relate to one another, is reduced to the actions of a slighted little boy. Why can’t smart people just be smart? But we have the movie we have and we must deal with it. 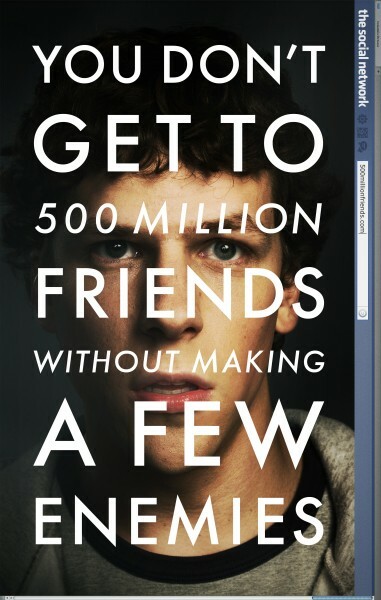 The interpretation of Zuckerberg aside, it is a really good movie. Sorkin’s dialogue is as quick and witty as you expect, and Fincher’s direction frames the centerpiece of the film: Eisenberg’s performance. 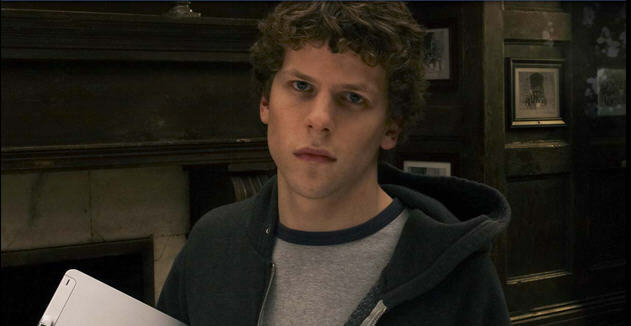 Truly, without Jesse Eisenberg, The Social Network is half the movie it is. His Zuckerberg has trouble maintaining eye contact with people, often talks down to his closest friends and never understands why their feelings get hurt, and when you have his attention he will make you wish you didn’t by delivering some scathing set down (“My mind is back at my office where we are doing things no one in this room is smart enough or creative enough to understand”). Zuckerberg’s emotions are channeled through small facial flickers–the faintest hint of hurt when he looks to Saverin but finds his friend has already abandoned him, or the way his eyes almost pop out of his head as he wills Erica to accept his I’m sorry–and always you can see the ambition burning in him to do something bigger than anyone else has done. The Social Network is already fueling a lot of Oscar talk but the only thing I will support right now is that Eisenberg deserves to be ranked among the best leading actors of the year. His performance is a delight to watch, he is always engaging and he applies a weird charm to Zuckerberg–you really want Mark to learn to make and keep friends. Also standing out is Garfield who conveys such heartbreaking betrayal when he learns that Zuckerberg has allowed him to be cut out of Facebook. Garfield plays Saverin as such a likeable guy that I found myself chanting, “Go to California,” under my breath. Of course he doesn’t and that is the opening for Parker to drive the wedge between Zuckerberg and Saverin. It’s just that Saverin doesn’t get it. He wants to go to New York City and get advertisers for Facebook to create revenue–Garfield does an excellent job of showing Saverin is simply a different breed than Zuckerberg. He is a brilliant mind, in so many ways just as brilliant as Zuckerberg, but he thinks in a linear, traditional way when Zuckerberg is pursuing a path that twists through never-been-done and shouldn’t-be-possible. As for Justin Timberlake, I didn’t mind him as Napster creator Sean Parker. It was a good role for him–flashy with little substance. He didn’t detract and Eisenberg and Garfield are so capable that he looks quite good in his scenes with them. I definitely don’t see him getting an Oscar nomination, but he didn’t ruin the movie for me. I actually kind of like that Timberlake was chosen to be the character who represents all the freedom and excess the west coast offers Zuckerberg. And for as much as Saverin harps on Parker’s unsuitability, continually referencing the “drugs and girls” in his past, Parker really does get things done for Zuckerberg. He gets the meetings that get Facebook the money without sacrificing their ad-free “cool”, the concept Saverin doesn’t seem to grasp. But in the end he is tripped up by the drugs and girls Saverin kept talking about, which leaves Zuckerberg alone, his new ally gone because he threatens the image of the company. Ultimately, The Social Network is what it is–a well-acted, well made story that in no way represents actual events or real people. Worth seeing for Eisenberg alone, it does offer an interesting perspective on a new breed of entrepreneurs who make their money by exploiting our personal lives in a public space. Or rather, allowing us to exploit our own personal lives. And there was an oddly poignant reference to the nature of living your life online when Erica tells Zuckerberg, “The internet isn’t written in pencil, it’s written in ink.” I couldn’t help but think of the recent events at Rutgers University and the rise of “cyber bullying” over the last couple years. Yes, Facebook brings people together in a way not possible before, but it also allows for a new kind of cruelty. Maybe that’s Sorkin’s ultimate point. Zuckerberg felt left out of the society he so wanted to belong to, so he gave us all a place to forever exclude our peers from our own final clubs.